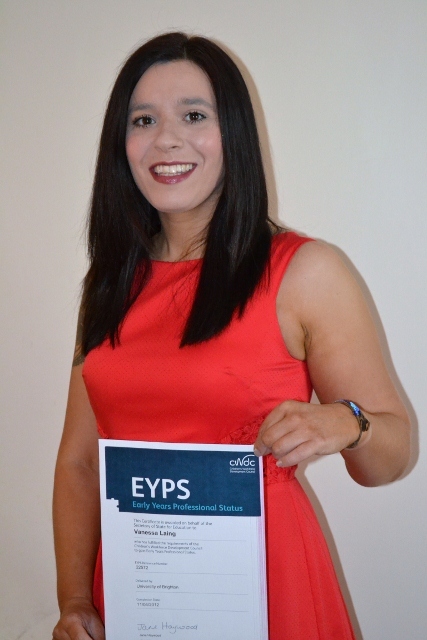 Home » News » Nizells Nursery Manager Gains EYPS! Nizells Nursery Manager Gains EYPS! Congratulations to Vanessa Laing, Nursery Manager at Hopscotch Nizells Avenue for attaining her Learning and Development Degree and Early Years Professional Status this April.